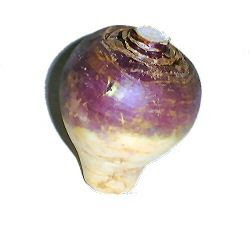 Anna Pickard’s ‘oh bloody hell, what am I supposed to do with THIS weird vegetable?’ blog has been quite the godsend during the initiation period. Stephenie Meyer’s Twilight. Teen romance which has spawned two equally successful sequels, there’s a movie in the works, everyone and his dog has read it, etc. So far it appears to be Buffy, minus the jokes and the feminism. Because those weren’t in any way integral to making Buffy brilliant. *sighs* Possibly I’ve been ruined for this sort of thing by Diana Wynne Jones’ The Tough Guide to Fantasyland, which has left me with a certain disdain for any character whose eye colour sometimes flashes to symbolic black, or whose hair is in improbably metallic. (‘Bronze’? Really?) And waiting till page 120 for her to realise he’s a vampire, when the blurb told us that? But perhaps the heroine will suddenly start hitting things or having witty, characterful friends or something. Layouts and edits and advances, oh my! The UK page layout of Big Woo is shaping up very beautifully indeed (despite today’s discussion of possible changes taking place on a malfunctioning speakerphone at their end, with much juggling of coffee and banana chunks across a windswept quadrangle at mine). US bound proofs should be done in a couple of weeks. And I met up with my writing group at the weekend, who were their usual gloriously inspiring and encouraging selves regarding Biscuits & Lies. Nothing puts me in positive writing mode so well as curry and fireside chat with that lot. Prison Break S1 (still only on episode 11, but gosh, yay, etc), and lots of carrot scraping.